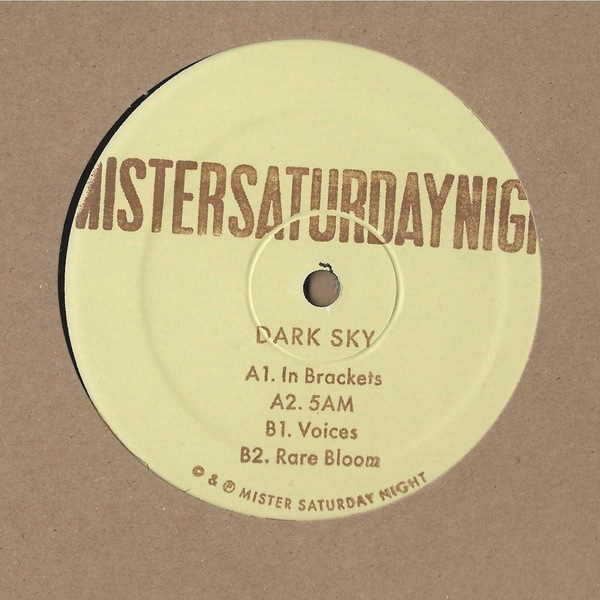 The Dark Sky trio make an unexpected yet successful detour into deep house avenues for the label wing of New York's Mister Saturday Night parties. With a lightness of touch and experimental bent not normally found in the often staid and hermetic genre, they nimbly realign the sound with classy vision, resulting breezier European styles reminding of Lawrence with 'In Brackets', while '5AM swings wide' with almost 2-stepped garage flair. Flipside, the sparkling-but-dusty jazz percussion and quicksilver edits of 'Voices' recalls classic Pepe Bradock and Shake, but with the up-to-the-minute chops of Floating Points, and 'Rare Bloom' catches them at their most reserved, timeless and moody.